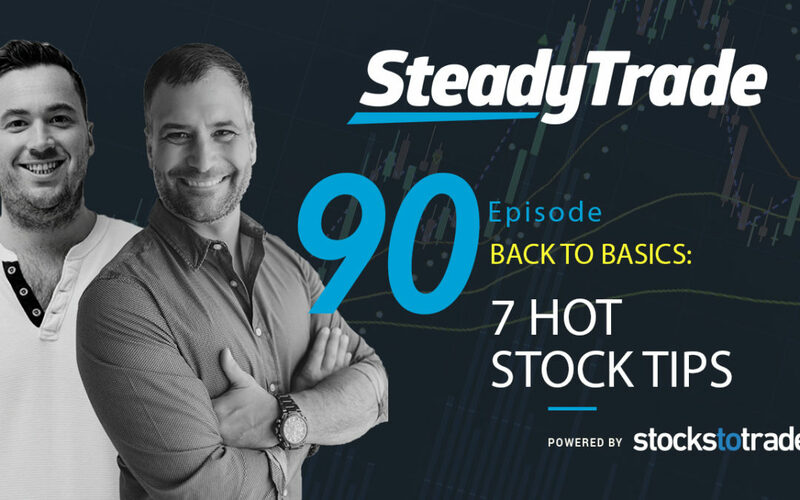 It’s that time again … hosts Tim Bohen and Stephen Johnson are offering up some key trading lessons in their monthly Back to Basics episode. 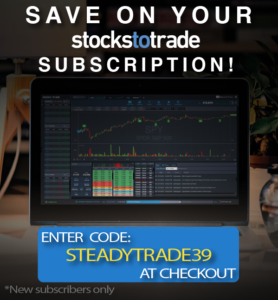 This time, they’re discussing a recent topic from the StocksToTrade blog: 7 tips for trading low-priced stocks. Look for chart patterns. Stephen recounts a recent news story of two children who’d gotten lost in the woods. A fireman found their footprints in the snow. By tracing their steps, he was able to deduce which way they’d headed, and the kids were ultimately found. Stocks may not be lost children, but there’s a trading lesson here. You have to look at the past if you want to better gauge a stock’s direction. Have a trading plan. Tim likens commencing a trade to starting a construction project. You don’t just order some lumber and bricks, then start hammering and stacking and expect to build a beautiful house. You need a plan before you can lay a single brick. The same goes for trading. You need to lay out a blueprint for every trade. Why are you in this stock? What’s your entry point, your target, and your stop? By predetermining things like this and outlining them before you trade, you’re far more likely to stay on track with your trades. Never use market orders. Even though the price of a stock might look good right now, if you execute a market order, the price could change extremely fast. The $6.90 per share you were hoping for could quickly turn to $6.95, thus limiting your profits. If you’re playing low-priced volatile stocks, always use limit orders. This is where you set your price for buying a stock to execute the order. No excuses — do it every time! Don’t be afraid to walk away from cheap stocks. Cheap stocks are volatile, and things can go sour quickly. If a trade isn’t falling into your desired setup or range, just walk away. Don’t change your plan, don’t get bit by FOMO. As Tim and Stephen both emphatically share, there will always be another stock. Stick to your plan, and if there isn’t a great play today or even tomorrow, there’ll be another in a few days. Limit your losses. Tim and Stephen dish on why it’s important to limit your losses. Instead of trying to think of making more, try to think of losing less. If you cut your losses even tighter, it can have a big effect on your bottom line and help keep your losses manageable. They offer helpful tips on how to stick to a disciplined trading plan and limit your losses. You won’t want to miss this! Follow the news. Low-priced stocks can move very quickly, and often it’s due to a news item either directly related to the company in question or to the stock’s sector. This means that if you want to be the early bird who catches the worm, you’ve got to keep up with the news. Tim and Stephen have helpful tips for staying on top of the tickers! Volume, volume, volume! Some traders only look at price, but it’s only part of the story. Volume matters too — big time. If a stock has insufficient volume, that can mean that you’re unable to exit a stock position due to a lack of buyers. In the episode, you’ll learn key tips for what to look for in a stock’s volume. Do you have a question or comment about these tips? Leave a comment below or on YouTube! You guys are totally AWSOME!!!! You two have really inspired me to keep going each week. Every time I feel like quitting, I start to listen to your banter and I get re-inspired. Especially when Tim coaches Steven up from a tough loss, and I think of the things that I did wrong. Think about the ways I can do better, and it really helps me look at my errors and try to write a better plan for the next trade. Love listening when getting ready for work. Tim you mentioned a weekly watch list. Where do I find that?